Published on Nov 25, 2011 - A BBC documentary about the unsolved murder of Private Investigator Daniel Morgan. The rotten core of News International's business in the UK comes under scrutiny. The first ten minutes are an outline of Daniel Morgan's early life and family. Then the second half of the documentary outlines the possible connection between The News of The World, News International and police corruption in the cover up of Daniel's murder. Going undercover into the Number One Corrupt Detective Agency during its heyday as the centre of the dark arts. The Guardian newspaper is targeted by senior officers, while the lead detective in the fourth murder inquiry finds his family is in the firing line. While News of the World try to derail the fifth murder inquiry, a series of protected witnesses provide a detailed picture of the conspiracy to kill Daniel. The longest pre trial hearings in British history are soon followed by one of the biggest scandals. But how are Daniel Morgan and phone hacking connected? I write on behalf of my family in connection with the murder of my brother Daniel Morgan on 10th March 1987. I am sure you will be aware of the history of this matter culminating in the decision by the Home Secretary in May 2013 to appoint an independent panel to look into the many questions arising from the murder. To remind you, Daniel was a private investigator who was brutally axed to death in the car park of a pub in south-east London. Despite five police investigations, nobody has ever stood trial for his murder. In March 2011, the prosecution of five men, including a former police officer, collapsed at the Old Bailey after police failures in the disclosure of evidence. Following the collapse of the prosecution, the Metropolitan Police admitted that the first inquiry into Daniel’s murder had been “tainted by police corruption”, and that they were responsible for a repeated failure to confront that corruption over the subsequent decades. We have reason to believe that the police criminality in and around the murder extends to the highest echelon of the Metropolitan Police. You will also be aware of evidence that emerged during the Leveson Inquiry concerning surveillance that was carried out by employees of News International in July 2002 on the police officer responsible for the fourth investigation into Daniel’s murder. We understand that several NI employees were involved in setting up this surveillance, two of whom (Glenn Mulcaire and Greg Miskiw) have since been convicted of unrelated criminal offences. Understandably, we find it difficult to believe the reasons put forward by NI at the Leveson Inquiry for this surveillance – namely that the police officer was suspected of having an affair with a Crimewatch presenter with whom he had appeared on the programme to provide details of the case. My understanding is that a simple Google search would have revealed that he had been married to the woman concerned for several years and they had two children together. I’m quite sure too that you’re aware of the long-standing commercial relationships between persons suspected of my brother’s murder and the persons involved in setting up the surveillance as named above as well as three other senior NI executives: Andy Coulson, Alex Marunchak and Mazher Mahmood. In all the circumstances – including the corruption at the heart of the first investigation into my brother’s murder as admitted by the Metropolitan Police – you must understand that the activities of these NI journalists and executives have caused us enormous concern. This has been exacerbated as we have learned about their close links with senior police officers overseeing investigations into Daniel’s murder. 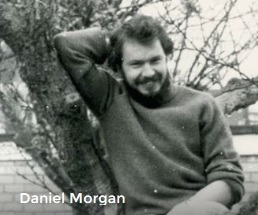 The work of the Daniel Morgan Independent Panel is almost entirely dependent on disclosure and I am appealing to you today – on the 28th anniversary of my brother’s murder – to ensure that News Corporation discloses all relevant material in confidence to the Panel. Daniel’s murder, the police corruption and the ensuing years of failed investigations have been agony for the whole family. Daniel’s children have grown up without a father and my mother is now 86 years old. We need to know the truth about what happened to Daniel and why. You are in a unique position to help us finally lay Daniel to rest. • The results of any internal investigations, such as the interviews carried out by lawyers from Linklaters in 2011-2012. Finally, I would also ask you to urge any of your employees or former employees who have information about the murder or activities of Southern Investigations to contact the panel. I look forward to hearing from you with your positive response to this letter. Alastair MorganNote: Today’s Press Release is here. Controversy still surrounds the 1987 murder of private investigator Daniel Morgan. True Crime writer Ian Hitchings gives his views on the case http://www.ianhitchings.com/ and also in his recent blog http://murderofdanielmorgan.blogspot…. The Daniel Morgan Murder. Private Detectives. Corrupt Cops. Rupert Murdhoch’s News of the World. 17 Feb 2017 – A former Metropolitan Police detective has won damages against the force after he was unfairly accused of perverting the course of justice. Sidney Fillery was accused of the crime following the murder of private detective Daniel Morgan, who was found with an axe in his head outside a London pub in 1987. 17 Jan 2017 – Daniel was found with an axe embedded in his head after a brutal attack outside the Golden Lion, in Sydenham in London. Buy UNTOLD: The Daniel Morgan Murder Exposed by Peter Jukes, Alastair Morgan (ISBN: 9781911274605) from Amazon’s Book Store. Everyday low prices and free delivery on eligible orders. There is no escape from the fact that the News of the World was well known to be involved in making corrupt payments to police officers in the late 1990s and in the early 2000s.